Since it was first announced, the Saudi Arabia-led war in Yemen has developed very rapidly. Air strikes have already hit numerous targets, resulting in many civilian deaths. Clearly, the Saudis are not prepared to watch Yemen’s long-running domestic turmoil become a full-blown collapse. 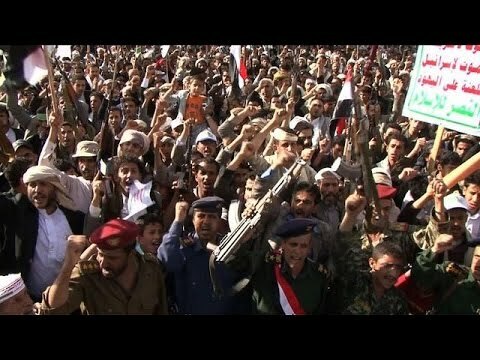 Ever since a rebellion led by the Shia Houthi faction has chased the Saudi-backed president, Abdrabbuh Mansour Hadi, out of the country, its leaders have been battling domestic and foreign forces loyal to him in a country long rent by civil conflict and terrorism. Saudi Arabia has responded by wrangling a massive assembly of forces from across the Middle East – and this is just the beginning of a region-wide deployment of airpower. On March 29, Arab League heads meeting in Sharm el-Sheikh agreed to an Egyptian-led plan to establish an intervention force that would eventually comprise 40,000 troops as well as aircraft and warships. The full force will take months to muster, but it’s quickly becoming clear that there had already been a remarkable degree of joint planning and co-ordination to establish a powerful regional air force to intervene in Yemen. At the core of the 10-nation operation is the Royal Saudi Air Force’s F-15S strike aircraft, supported by interceptors and transport planes. There is also informal support from the United States, in that it was UN Navy warships that rescued two Saudi F-15S crew members when their jet crashed. The Saudis have committed around 100 aircraft to Operation Decisive Storm – but the really decisive variable will be the extent of actual military support from other states right across the region. This is very clearly a Saudi-led operation with minimal direct involvement from the US, even if American and British private military contractors may well be engaged behind the scenes. As the Houthis attempt to take over the key southern port of Aden, we can expect to see the Egyptians getting more directly involved in naval bombardments. Oman, which borders Yemen, has not made any commitment, but most other Middle Eastern states have. The United Arab Emirates has deployed 30 aircraft and Kuwait has sent 15 F/A-18 Hornets. Bahrain has sent at least eight F-16s, Qatar has contributed ten of its French Mirage 2000s and even Jordan, embroiled in the air war over Syria and Iraq, has contributed six F-16s. Egypt is heavily involved too, though mainly with naval forces. There are some real surprises, though. One is Morocco, from well outside the region, which has sent F-16s; another is Pakistan, which is apparently weighing how involved it wants to be. And Sudan, meanwhile, is sending three ageing Soviet-era Sukhoi Su-24 fencers. The Sudanese contribution makes little military sense given that almost all of the communications and other systems involved are incompatible with the state-of-the-art Western-built planes the other countries are deploying. Instead, this is pure symbolism: it speaks volumes about the seriousness of the plan that a state normally rather outside the Arab fold is so anxious to be involved. Much of the current air activity is centred on the King Khalid Air Base, to the east of Khamis Mushait in south west Saudi Arabia. Barely 120 miles from the border with Yemen, the base has clearly been constructed with Yemen in mind, and with the facilities to operate many, many more aircraft than would normally be deployed there – including at least 20 large aircraft shelters. That the base is located where it is shouldn’t be surprising, given that Saudi Arabia has staged small-scale air interventions in Yemen several times in recent years. What is a shock is the speed with which the current multilateral force was assembled there. Put bluntly, this could not have been done overnight. Extensive planning must have been done for an assault of this size, and it must date back to long before the recent Arab League meeting. Much of the widespread Arab military support for Decisive Storm will be motivated by a deep fear of Iran’s growing influence. Tehran is making a show of muscle in Iraq, and US-Iranian relations have been showing signs of a thaw. Fears of direct Iranian influence over the Houthis may be seriously overblown, but Saudi Arabia and its partners are clearly taking no chances. The sheer size and composition of the air power now being arraigned against the Houthis is quite shocking. It has already far exceeded the expectations of most Western military analysts, and with the Saudis insisting that their aim is to reinstall the Yemeni government-in-exile of President Abdrabbuh Mansour Hadi, a ground intervention may well follow. The risk, though, is that this will seriously inflame regional tensions while also diverting attention away from the conflict with Islamic State – something which that group would no doubt welcome. This is still only a very early phase of what may be a long and vastly expensive war – one which already involves almost every state in the region, and a good few beyond it besides.